Just How Big IS the Amazon? The Amazon is considered the world’s largest river. It is over 4,300 miles long and also generates the greatest amount of water outflow or discharge of any river. In comparison it dwarfs the next largest tributary known as the Congo. THIS is exactly how Jeff Bezos planned it. Last year it is estimated that on top of Amazon’s own $91 Billion, marketplace sellers contributed another $103 Billion…generating a total of $194.4 Billion in gross merchandise volume (GMV). At this point, the marketplace contribution is expected to grow from 53% in 2016 to just over 70% in 2023. In just three years the marketplace is estimated to double…from $103 Billion in sales in 2016 to $212 Billion in 2019! Keep in mind, the sales figures that Amazon announces includes only their own sales. Hence, marketplace sales are not reported…outside of the marketplace share of total units sold. Conventional wisdom believes that Amazon’s marketplace sales are likely larger than their retail sales. Recently, Amazon has started reporting their retail product sales (RPS) which were $68.513 Billion in 2014, $76.863 Billion in 2015 then growing to $91.431 Billion in 2016. Credit Suisse predicts that Amazon will continue to grow, but at less an aggressive pace. In fact, they estimate that growth for 2017 will touch 23% but then begin trending downward to 15% by 2023. While these growth estimates are based on worldwide sales, their U.S. digital marketplace growth is expected to be 14-15%, thus making even at that rate, Amazon the major contributor still outpacing the marketplace. Credit Suisse also predicts that Fulfillment by Amazon (FBA) is also on an upward trajectory. 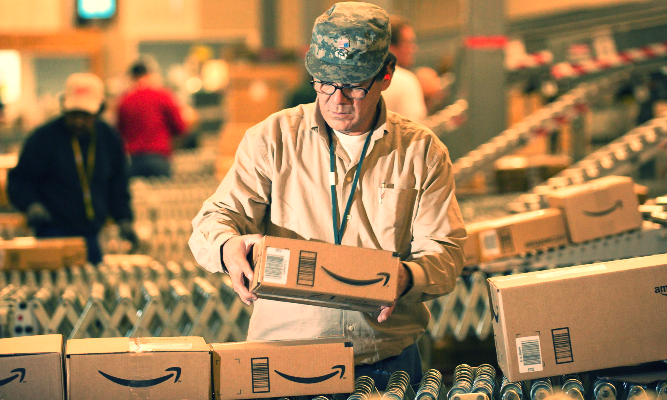 It is their position that by 2020 fully 70% of third-party units will be fulfilled by Amazon. The consensus is that top-sellers will continue to gravitate towards FBA. Again, Conventional Wisdom indicates that marketplace sellers are growing faster than Amazon itself, FBA services is also growing at a comparable rate…and Amazon is far from reaching its peak! Credit Suisse has also estimated that the digital marketplace for Amazon is going to grow by approximately $35 Billion in both 2017 and 2018. The secret for sellers will be in how they position themselves to take advantage of this growth. With Amazon on target to reflect a total GMV of over $634.2 Billion in sales by 2023…is $1 Trillion out of the question some day? The answer is undoubtedly not at all. Providing Amazon can stay off “Big Brothers,” radar. Knowledgeable sources have alluded to whispers in the halls of Congress that Amazon may be getting too big. “There are currently early discussions and due diligence being considered in the legislative chambers of Washington DC with regard to possible antitrust opposition to Amazon’s business practices, pricing strategies and expansion announcements already made (and in the future),” said Douglas Kass, head of Seabreeze Partners Management. It is just a short step from whispered discussions of how disruptive a behemoth that controls 30% of the entire U.S. retail sales growth (online or offline) to actual government efforts to “breakup,” a giant on its way to becoming a full-fledged monopoly. If only Amazon can control its own appetites for another few years…it may dodge the proverbial legislative bullet. At MosaicaFX we are constantly searching for the simple truth when it comes to what our clients should be prepared for as they grow with Amazon. The digital marketplace can be a stormy sea and without a knowledgeable and experienced navigator at the tiller, those seas can be dangerously intimidating. We would encourage you to reach out to one of our Executive Account Managers so they can discuss with you the options (and opportunities) that exist in today’s digital marketplace you may not be taking advantage of. On another note, don’t forget to ask about our new proprietary currency management platform…Worldesk. It’s not a question of if you need it, but why are you not using it? Previous ArticleWorldesk… The FX World Will Never Be the Same! Next ArticleFX vs. SMB …does it have to be a love-hate relationship?